Tag Archives: right? She lost a lot of weight. 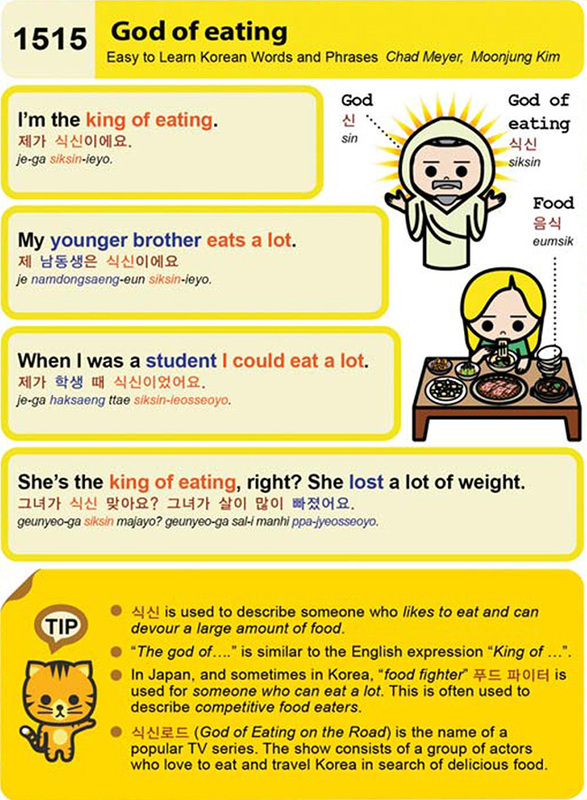 Easy to Learn Korean 1515 – God of eating. Posted in Series	| Tagged actor, delicious food, eat a lot, food, food fighter, god, God of eating, God of Eating on the Road, I’m the king of eating., king of, likes to eat and can devour a large amount of food, My younger brother eats a lot., right? She lost a lot of weight., She’s the king of eating, When I was a student I could eat a lot., 그녀가 식신 맞아요? 그녀가 살이 많이 빠졌어요., 식신, 식신로드, 신, 음식, 제 남동생은 식신이에요, 제가 식신이에요., 제가 학생 때 식신이었어요.